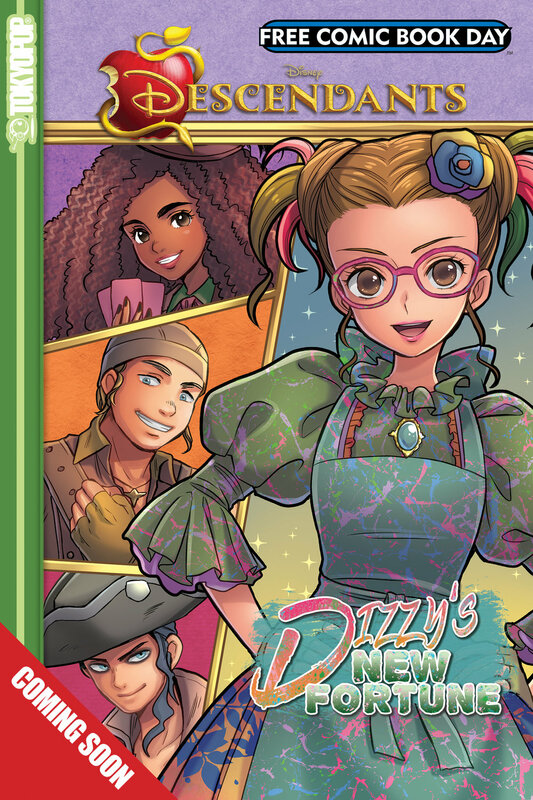 A full color, manga-style graphic novel telling a brand-new story in the world of Disney Descendants, starring Dizzy — the granddaughter of Lady Tremaine — and a whole cast of Villain Kids from the Isle of the Lost! The original Villain Kids have worked hard to prove they deserve to stay in Auradon, and now it’s time some of their friends from the Isle of the Lost get that chance too! When Dizzy receives a special invitation from King Ben to join the other VKs at Auradon Prep, at first she’s thrilled! But doubt soon creeps in, and she begins to question whether she can truly fit in outside the scrappy world of the Isle. Keep an eye out for the first chapter of Dizzy’s New Fortune at participating independent retailers for Free Comic Book Day 2019!